Ode to Shaper Craig Ludlow . 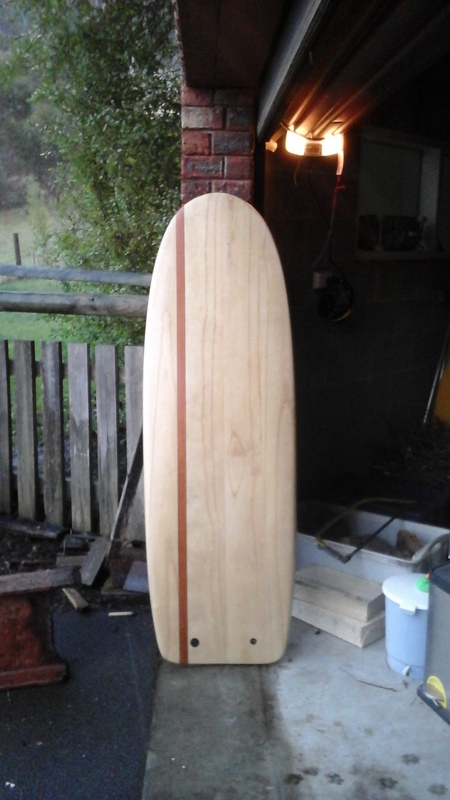 Early 2015 I attended a Tree To Sea timber surfboard building workshop on the Mornington Peninsula in Victoria where I built a 6’4” fish. 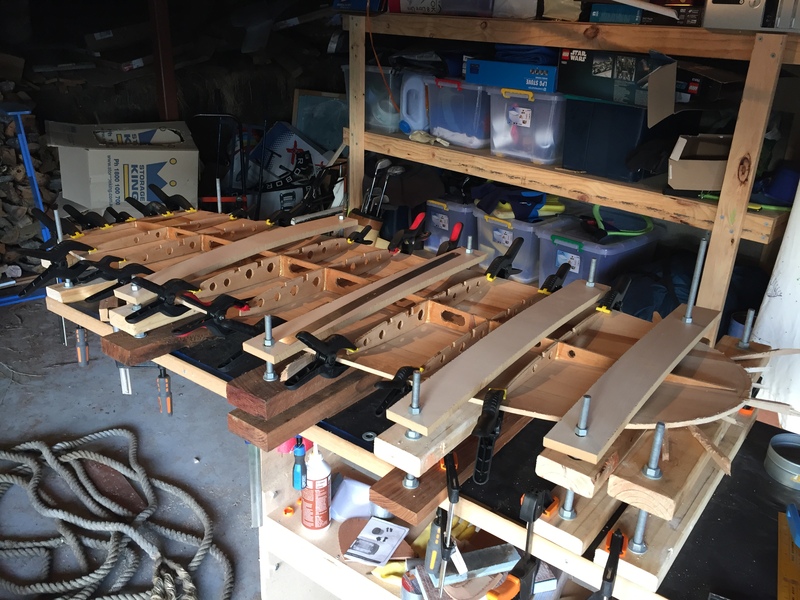 I was inspired to continue building boards with the knowledge I gained from the worksop. Mini-Simmons designs appealed to me, and after downloading the cad file from the Mini Simmons website I decided to turn my hand at building the 5’ 8” design. The board is hollow with a plywood frame and Paulownia timber deck and base, including a cedar racing stripe. The finish is a satin marine varnish. Still waiting to give the board a proper go, the first go last week was gutless point style waves breaking directly onto rocks on the high tide. Hopefully this week I’ll give it a crack. 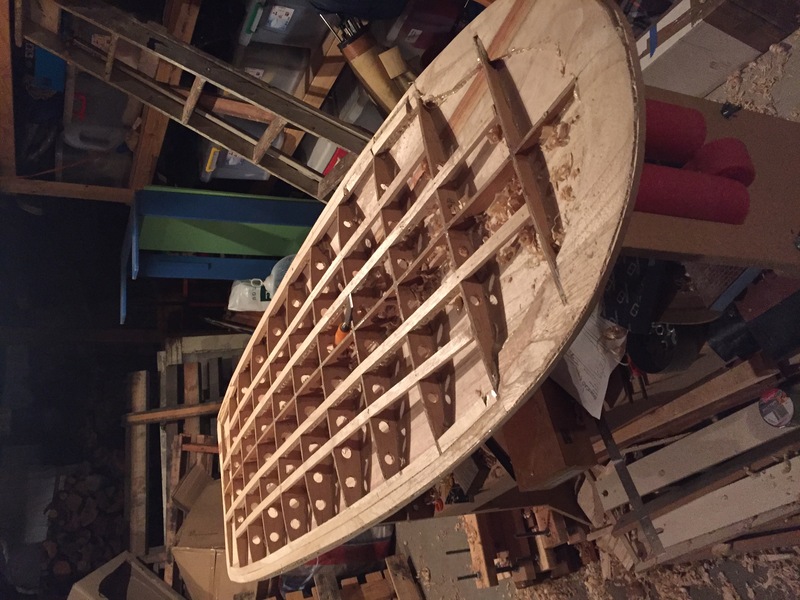 I’ve now got the hang of board-cad and have two more Mini-Simmons designs ready to build but the next project is a 5’10” inspired from a Jeff McCallum Quagg II.